Since the advent of the Fourth Republic in 1999, the sharing of oil revenue has remained a very contentious issue between oil-producing states and the Federal Government. In fact, the agitation for equitable distribution of proceeds from oil and gas has led to clamour for resource control and fiscal federalism, which sometimes threatens national cohesion. In 2001, the politics of revenue allocation between the different tiers of government came to the fore, when the Federal Government, through the Office of then Attorney-General of the Federation and Justice Minister, filed a writ of summons at the Supreme Court against the 36 states solely to determine whether natural resources located within the continental shell of the country are not derived from any of these states, as their boundaries end at the low water mark of the land surface of each of such littoral states. In the suit, which the oil-producing states and other littoral states namely: Akwa Ibom, Bayelsa, Cross River, Delta, Edo, Ogun, Ondo and Rivers, had specifically felt they were the major target, the Federal Government prayed the apex court to interpret Section 162 (2) of the 1999 Constitution with the primary intent of calculating the amount of revenue accruing to the Federation Account directly from any natural resource derived from each of the 36 federating units. The government hinged its suit on the claim that all natural resources located within the country’s territorial waters, irrespective of the state, were deemed to be derived from the federation and not from any state. The Federal Government, which under the existing revenue sharing formula takes a whooping 52.68 per cent, leaving the states with 26.72 per cent and the local councils with 20.60 per cent, as well as, 13 per cent derivation revenue going to the oil producing states, had argued that Section 162 (1) of the Constitution provides that the federation shall maintain a special account to be called “the Federation Account” into which shall be paid all revenues due to the country. It went on to explain that by a proviso to Section 162 (2) of the constitution, which prescribes the principle of derivation meaning that revenue accruing to the Federation Account from any natural resources shall be deemed to have been derived from the state or territory where such resources are located. Having stressed that the natural resources located within the country’s territorial waters and the Federal Capital Territory were deemed to be derived from the federation and not from any state, the Federal Government revealed that the purpose and intent of this contentious suit was for the apex court to determine the seaward boundary of a littoral state within the county for the purpose of calculating the amount of revenue accruing to the Federation Account directly from any natural resources derived from that state, pursuant to the proviso to Section 162 (2) of the 1999 Constitution. 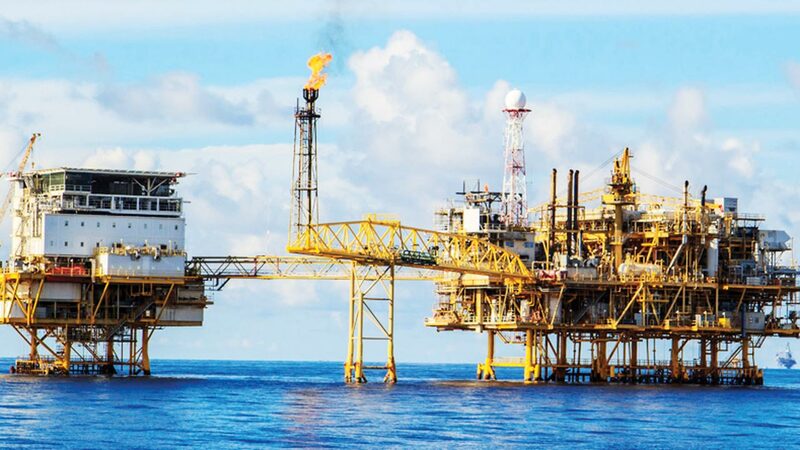 But the Akwa-Ibom, Bayelsa, Cross River, Delta, Edo, Ogun, Ondo and Rivers state governments had maintained that natural resources located offshore ought to be treated or regarded as located within their respective states. According to the littoral states, their territories extend to the territorial waters and also unto the continental shelf and the exclusive economic zone. These states, particularly the oil-producing ones had contended that oil and gas from both offshore and onshore were derivable from their territories and to that end, they were entitled to “not less than 13%” allocation of all revenues derived from the oil and gas resources. The oil-producing states contended that the policy where the Federal Government was charging the funding of the joint venture contracts and the Nigerian National Petroleum Corporation (NNPC) priority projects to the federation account was at variance with the provisions of the 1999 Constitution, thus, unconstitutional. The Supreme Court in its judgment declared that the southern boundaries of all the eight littoral states must be the southern boundaries of the old Western and Eastern regions as defined in the Laws of Nigeria of 1954, i.e. the sea. The court explained that this is also defined in Section 11 of the Nigeria Protectorate Order in Council 1922, and of Lagos State as defined in the Colony of Nigeria (boundaries) Order in Council 1013. The apex court further asserted that if the boundary is with the sea, then, by logical reasoning, the sea cannot be part of the territory of any of the old regions. To this extent, the court said the states cannot claim that their boundaries extended to the exclusive economic zone, or the continental shelf of the country. Based on the Supreme Court verdict delivered in 2002, the Federal Government, Akwa Ibom, Bayelsa, Delta and Rivers state governments agreed on a political solution to the dispute amid anger in the region over the patent disingenuousness and immorality of the suit. 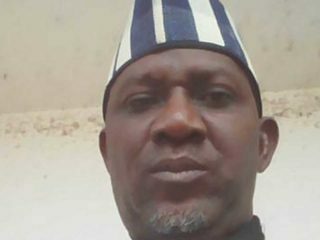 Aggrieved groups like the Ijaw National Congress, United States (INCUSA) had warned that there will be heavy price to pay for such pyrrhic victory owing to the widespread perception that the Federal Government was merely flexing its muscles because the suit it filed at the apex court, though, involved all the federating states in disguise, but was directly targeted at the Niger Delta minorities. INCUSA lashed out at state governors for acting beggarly in their demand for what was rightfully due the people of their region, and further argued that states have not shown that they were bargaining from a position of strength. Worst still, the governors were perceived to not have devised a comprehensive strategy to redress the overwhelming injustice the region has suffered over the years. The INC said this action by the Federal Government ought to have served as a necessary shock therapy to jolt the leadership in the region, which must come to terms with the reality that the core issue was beyond onshore/offshore dichotomy in the sharing of oil wealth, but that of ownership of the lands from which crude oil is exploited, and how that land is to be managed by its owners. Desirous of expanding social services and tackling infrastructural deficits, the Niger Delta states where the bulk of the country’s oil and gas resources are produced has been clamouring for an effective strategy, and an appropriate formula for revenue sharing acceptable to them and the rest of the federating states. Hence, the onshore/offshore dichotomy was just a tip of the iceberg of more contentious issues concerning revenue sharing between the states and the Federal Government. Eager to shore up their fiscal capacities as the country plunged into recession, Akwa-Ibom, Bayelsa and Rivers states filed a suit at the apex court against the Federal Government seeking the following consequential reliefs where, by virtue of Section 162(1), (2) and (10)(a-c) of the Constitution as amended, the states are entitled to a share of the monies accruing to the Federation Account, an implicit or a quasi trust obligation is created that mandatory statutory provisions from which such funds are derived shall be diligently observed and enforced by the Federal Government, or its nominee cognate minister, organs and or parastatals, ensuring thereby that beneficiary states qua plaintiffs et al are not underpaid/shortchanged in real terms, what is due them under the constitution and contract or enabling status. The oil-producing states sought the court to determine whether there is a statutory obligation imposed on the Federal Government, pursuant to Section 16(1) of the Deep Offshore and Inland Basin Production Sharing Contracts Act Cap D3 of the Laws of the Federation 2004, to adjust the share of the Federal Government in the additional revenue accruing under the various production sharing contracts approved by the Federal Government if the price of crude oil at any time exceeds $20.00 per barrel, in real terms, to such extent that the production sharing contracts shall be economically beneficial to the government of the federation. Also for determination, was whether the failure of the Federal Government to accordingly adjust government’s share in the additional revenue accruing under the production sharing contracts approved by the Federal Government following the increase in the price of crude oil in excess of $20.00 per barrel in real terms, constitutes a breach of the said Section 16 (1) of the Deep Offshore and Inland Basin Production Sharing Contracts Act, and has thereby affected the total revenue accruing to the Federation and consequently the total statutory allocation accruing to the plaintiffs by virtue of the provisions of Section 162 of the Constitution as amended. The states argued that there is a statutory obligation imposed on the Federal Government pursuant to Section 16 (1) of the Deep Offshore and Inland Basin Production Sharing Contracts Act, Cap D3 Laws of the Federation 2004, to adjust government’s share in the additional revenue accruing under the production sharing contracts, if the price of crude oil at any time exceeds $20.00 per barrel in real terms to such extent that the production sharing contracts shall be economically beneficial to the government of the federation; and the component federating states, especially the 1st, 2nd and 3rd plaintiffs. To that end, they prayed the apex court to issue a consequential order compelling the Federal Government to adjust government’s share in the additional revenue under all the production sharing contracts in the oil industry within the inland basin and deep offshore areas as approved by the Federal Government from the respective times the price of crude oil exceed $20.00 per barrel in real terms, and to calculate in arrears with effect from August 2003 and recover and pay immediately, all outstanding statutory allocations due and payable to the them arising from the said adjustments. In cognisance of the sheer breach in the PSC law, the Federal Government, through the Attorney General of the Federation, Abubakar Malami SAN, indicated government’s preparedness to explore an amicable settlement of the issues raised in the proceedings by the states. It was on this basis that parties agreed to undertake and immediately set up a body and the necessary mechanisms for the recovery of all lost revenue accruing to the Federation Account arising from adjustments to PSC at the respective times that the price of crude oil exceed $20.00 per barrel beginning from August 2003. The Supreme Court declared that the 13 per cent derivation due to the states shall be paid to them upon recovery in accordance with Section 162 of the 1999 constitution as amended. Reacting to the development, the former Group General Manager, Corporate Planning and Development Division, Nigeria National Petroleum Commission (NNPC), Dr. Joseph Ellah, said it would bring more revenue to the oil producing states. Ellah explained that when the Deep Offshore and Inland Basin Production Sharing Contracts Act came into being, the country was just venturing into offshore drilling and it was a relatively new technology in Nigeria. According to him, the government had to give international oil companies a lot of incentives because oil price was hovering between $9-10 per barrel. Ellah, who expressed reservation whether any arrears would be paid the three states, emphasised that the onus to call for the review was essentially the responsibility of the NNPC and not the companies. On his part, a former Minister of Petroleum Resources, Prof. Tam David-West, described the PSC deal as a controversial deal that cannot stand any legal and professional scrutiny because of the unpredictability of the price of crude oil in the international market. Describing the PSC as “a very controversial contract,” he said, you don’t put oil price in a contract because it is unstable. In my time, oil was $10. It can be $20 today and it can be $5 tomorrow and $40 the next day. To put oil price on a contract is a very silly contract, and that contract does not make sense as it cannot stand any legal and professional scrutiny because oil price changes,” he said. 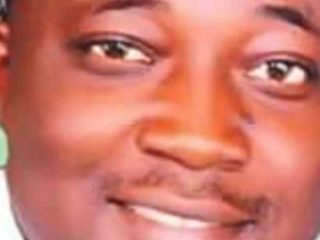 The former Ijaw Youth Council (IYC) president, Kuromiema Miabiye, said being a consent judgment, it means that all parties negotiated an agreement that respects the law as extant, which had been previously held in breach. 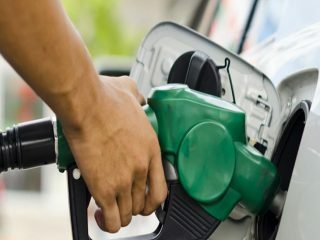 “First, that there is such a breach to the law in revenue sharing by the central government and international oil companies (IOCs) speaks not just to the character of the partnership of Federal Government and OICs and managing laws, but more so laws that demonstrate their abiding trait of expropriatory behaviour. That said, it is to the credit of the legal constituency of the states that they are increasingly becoming eagle-eyed in looking more closely at what ‘these hawks’ have continued to do. Let us commend them,” he said. Miabiye declared that while some may consider this a victory for oil-producing states, he would rather see it more as a revelation of the fraudulent nature of the Nigerian State and transnational oil company. He contended that the fact that parties to the PSC deal kept quiet and refused to review the agreement long after oil price rose above $20 per barrel, is a pointer that they constitute a shame to civilised society because all these happened while they exploited the law in breach. “I rather commend the Supreme Court and the growing maturity of the littoral states to close mark the Nigerian State. I guess if we look closely, we may find out that certain agents of State must have apriori colluded with OICs to defraud the Federal Government and the states of revenue accruals. Within existing arrangement, if there are breaches to laws, they must be addressed. “The issue of resource ownership and control is at the core of a weak and rogue state system and the poverty of leadership with vision and capacity. Nigeria is an immensely endowed country, and every section of it has the human and natural resource potential to survive, engage in trade and exchange and develop the dignity and pride of its constituents. However, visionlessness and lack of capacity in leadership has thrust on us, the pattern of dependence rent-seeking that supports a patronage and entitlement culture. These are the marks of wasted human capacity,” he said. The activist expressed reservation about the capacity of the committee set up to implement the consent judgment because there are a lot of dodgy and circuitous characters that could be easily observed. He said oil companies, by his estimation, may never be able to pay the required sums as maybe needed. To that end, he suggested that all that which is owed over the years on account of this be converted to equity in the oil business as this may be a more beneficial and lasting option to make the money available to the people of Niger Delta. As oil-producing states continue to agitate for equitable revenue distribution, Miabiye asserted that this and other development will reignite agitation for resource control, which some think has fizzled out. “I do not think that the issue of resource ownership has fizzled out. Things in nature gain momentum gradually and drive forward on the strength of momentum gained, but momentum is quantified, gets exhausted and so must be built again. The impetus will awaken again as things evolve,” he added. For the Rivers State Commissioner for Information and Communications, Emma Okah, the additional revenue to affected states would help in mitigating their developmental challenges because for years, governments and people of the Niger Delta have been lamenting the degradation of their environment. According to him: “If additional revenue comes, it will assist Niger Delta states to develop their people. For years we have bore the brunt of environmental degradation and the rest of the country seems not to appreciate this. When they give us the paltry 13 per cent, they think that they are doing us a favour, but I think the additional revenue will make a lot of difference for our people,” said Okah. Asked to hazard a guess on how much each state each state would get from the Supreme Court judgment, he stated that what would accrue to each state would be determined between federal and state officials. “It will be difficult to calculate how much is due to a state like Rivers for now. The calculation would have to be done for the lost years because it is not a one-year thing. All the revenue that should have accrued to the states, I believe would be calculated, and I can assure you that it will be significant,” he said. A public analyst, Robinson Tombari Sibe, observed that for the oil-producing states, having been shortchanged for a long period, the Supreme Court intervention represents a huge success because it is a pragmatic approach. “This Supreme Court judgment, which is essentially an interpretation of Section 16(1) of the Deep Offshore and Inland Basin Production Sharing Contract, only addresses an issue in part, the crux of the problem remains. The real justice would be served when there will be resource ownership and control by the indigenous people and host states, in line with Article 26 of the United Nations Rights of Indigenous People which says, ‘Indigenous peoples have the right to the lands, territories and resources, which they have traditionally owned, occupied or otherwise used or acquired. As such, they have the right to own, use, and develop and control such lands, territories and resources that they possess. “The mineral laws here are fundamentally a creation of the colonial masters to superintend over the resources of their colonies. If you take a trip along West African coastlines, from Lagos to Accra for instance, you will see that all the countries you will traverse on your journey have similar resource laws. In Nigeria, the state owns the land in trust and the Federal Government owns the mineral resources therein. In Benin Republic, all minerals in the soil and sub-soil belong to the state. In Togo, the government owns and regulates all mineral resources. In Ghana, ownership of all mineral resources is vested in the president. So, basically, they are all still operating modified versions of the respective colonial mineral laws that stripped the people of ownership of their resources, and conferred same to the central government. It’s essentially a hangover of colonial mineral laws. Yet, if you take a trip across the Atlantic to the United States, the laws are different,” said Sibe. He stated that one of the reasons why the hydrocarbon industry in Nigeria is muddled up in needless controversies is the fact that this fundamental anomaly that borders on resource ownership has not been addressed. Resource control, he argued, will open up the industry and throw in more players, and by extension more competition and investment. Additionally, it will better address environmental issues. Since the ownership now rests with those who are impacted, it will address the challenge of poverty, exclusion and by extension, address the challenges of insecurity and youth restiveness. “In Nigeria, right from the colonial Mineral Ordinance in 1914 to the Petroleum Act, and even the stillborn bill called Petroleum Industry Bill (whether PIB 1.0 or PIB 2.0 or even the PIGB), ownership was vested in the Federal Government. Oil blocs are partitioned and shared remotely, from cozy offices in Abuja, while oil-producing states line up in Abuja to share from a paltry 13 per cent of 55 per cent handed them. Justice will ultimatly prevail when this is devolved to the states and oil-producing communities, who are in the frontlines of the associated devastation of the hydrocarbon industry. The real justice is when there is resource control, and when states and host communities are direct parties to whatever JV-contracts there is,” he said. 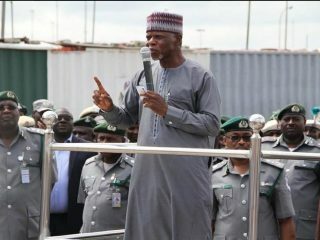 With prospect of more revenue accruable to the states, Sibe recommended that they should invest in agriculture, healthcare, education and human capital development instead of the extravagance exhibited by some of them that expended scarce resources on private jets for governors. He pointed out that oil will only flow for a couple of decades, so Niger Delta states must prepare themselves for life after crude oil. According to him, today, Oloibiri is only mentioned when people are talking about the history of the hydrocarbon industry in Nigeria, and not how many barrels of oil they currently produce. “The land was drilled, raped dry, and abandoned. This will be the fate of the rest of the Niger Delta if we don’t think proactively. We must invest in our people, and equip them with skills that can make them employers of labour. The world is moving at a fast pace, and we live in a world of Internet of Things, artificial intelligence, block chain technology, etc. We must begin to invest in our people to have the skills that the world needs. Nigeria and Africa have the market, if we equip our people with the skills, they won’t lack patronage. We can create technology parks, and high tech skills centres; we can set up hubs and incubation centres to support budding entrepreneurs; we can use part of the funds realised as security to facilitate single digit loans for entrepreneurs with feasible and viable proposals,” he said. Sibe added: “We should begin to build infrastructures of the emerging knowledge economy because oil and gas industry itself is not labour intensive; we need to look at other sectors and industries that can provide jobs for the growing population of the unemployed. We must also begin to think beyond oil, and there are opportunities begging for attention.